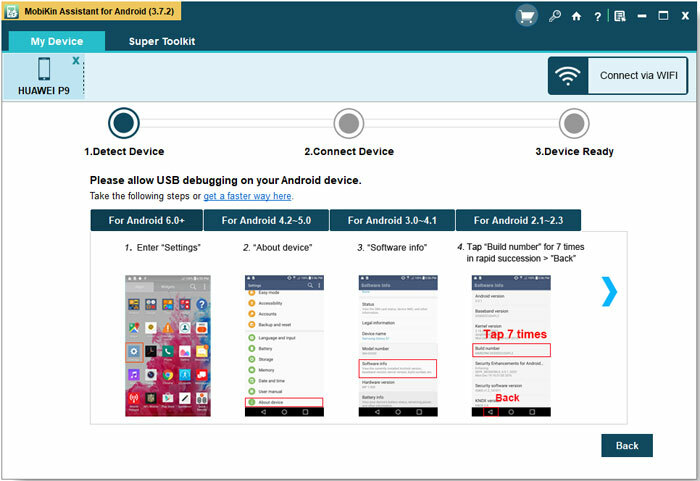 Connect your Android phone to the computer with USB cable and launch the program. Then you may follow the instructions below to open the USB debugging. Of course, if you did this before, you can skip this step. Tick USB debugging opened and click Next to install USB driver on your computer then. The software will begin to detect and scan the connected device after the USB debugging. You will see an interface like this after the detection. All the files will be displayed as different categories on the left panel. Click on the option on the left panel according to the types of files you want to transfer. For example, you can click on the Photos and then the Photo Gallery button on the left panel. 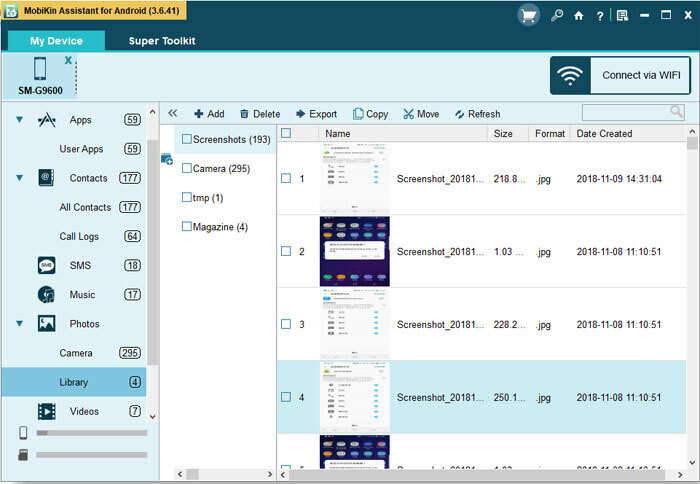 Then you will preview the photo on the right panel and mark the files you want to transfer. Finally just click on the Export button to transfer the marked files to the computer. Note: You can click on the Add button to transfer files from computer to your device. You can transfer other files like music, contacts, apps and text messages, etc. with similar steps. Now you can give it a try. 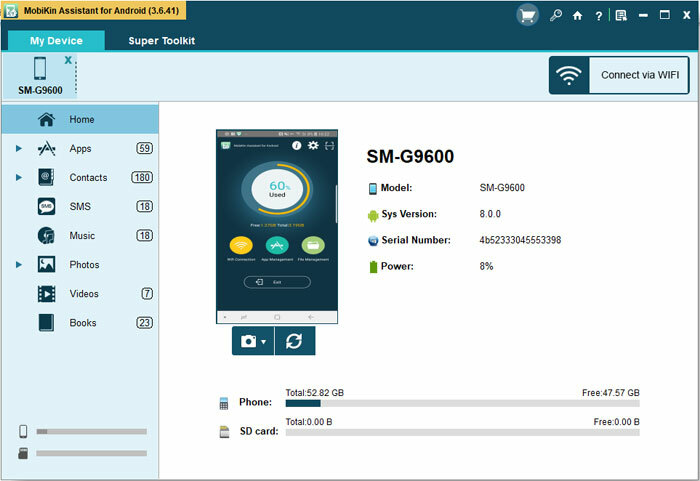 How to recover files from Android micro SD card? How to Manage Motorola Cell Phone Data with Motorola PC Suite Alternative? Motorola Apps Manager - Manage Various Applications of Your Motorola on Computer without Hassle. How to Transfer Audio Books Between Android and Computer Freely?